He was known and quoted in the colonies of the New World for his theology more than Calvin and Luther combined. Dr. William Ames (1576-1633) was born in 1576 at Ipswich in Suffolk, that region east of Anglia where Puritanism had first “begun”, and where the persecution of the crown was least effective. His father was a merchant who was sympathetic to the Puritan cause; his mother was a relative of later colonist Pilgrims of Plymouth, Massachusetts. Both his parents died, and William was taken in by his uncle, Robert Snelling of Oxford, who took William into his home, and with understanding and generosity saw to his needs and education. Ames chose the center of Puritan learning, Cambridge University, over Oxford for his higher education. Cambridge was dominated during Elizabethan and Jacobean time by the teaching and preaching of Thomas Cartwright (1535-1603), William Perkins (1558-1602), and John Preston (1587-1628). Ames had the good providence to become close to William Perkins, and their relationship not only grew as teacher/student, but also as friends. Ames received his A.B. degree in 1607 and was promptly invited to become a fellow (professor) of Christ’s College. He was even in the running for the mastership of the college as a successor to Edmund Barwell in 1609. But higher authorities in state and established church interfered to prevent the election of such a strong nonconformist candidate. Ames refused to wear vestments, and he spoke out against the sign of the cross administered during baptism and other ceremonies. Another candidate was chosen, and in the eyes of Ames and other Puritans, the college status deteriorated. Ames withdrew his fellowship, and never returned again to English Academia. Ames made the transition from being a fellow to taking up the pastorate, but it was not long afterward that persecution began to intensify under the reign of James I and Archbishop Bancroft. Particularly, Ames was sought after since he had translated William Bradshaw’s treatise “English Puritanism” which set forth in hard terms the nonconformist views. Ames made a decision to leave England and go to Holland. Ames arrived in Holland in 1610 to begin a new life that would bring him fame, conflict, the death of his first wife, financial insecurity, continued interference from English authorities, and his own death at age 57. During the first years of exile, Ames supported himself by offering his ministerial services to one of the several large communities of Englishmen living in the Netherlands. Ever since the Marian persecution of the 1550’s, English nonconformist ministers in exile had always been able to find professional employment, although usually at a bare substance level. Supported by Colonel Horatio Vere, a Puritan sympathizer, Ames succeeded John Burgess in 1611 (same year as the KJV version was published for the second time) as chaplain to the British community at The Hague. Ames courted Burgess’ daughter and married her, but she died soon after and left him childless. The long arm of bishop and king reached across the North Sea and Vere was forced to dismiss Ames in 1618. His professional life continued to be precarious until until his appointment to a professorship at the young University of Franeker in north Holland. Although his recommendation in 1619 by the Synod of South Holland was enthusiastically received by the trustees of the new Friesland University, Ames was not able to deliver his inaugural address until 1622. The English authorities spared no effort to prevent his taking the post and would likely had been successful if it had not been for the direct intervention of the Dutch Prince Moritz. Despite this array of personal misfortune and difficulty, Ames voice was still one of the most influential in the theological development of the Puritan and Reformed churches in England and the Netherlands. From discussion of church polity with John Robinson, he turned to dispute with continental theologians. The points of argument were all related to Arminianism, the great theological heresy of the seventeenth century. Very soon after his arrival in Holland, Ames was enlisted on the side of the orthodox party which was standing its ground against the position of the late Jacobus Arminius (1560-1609). 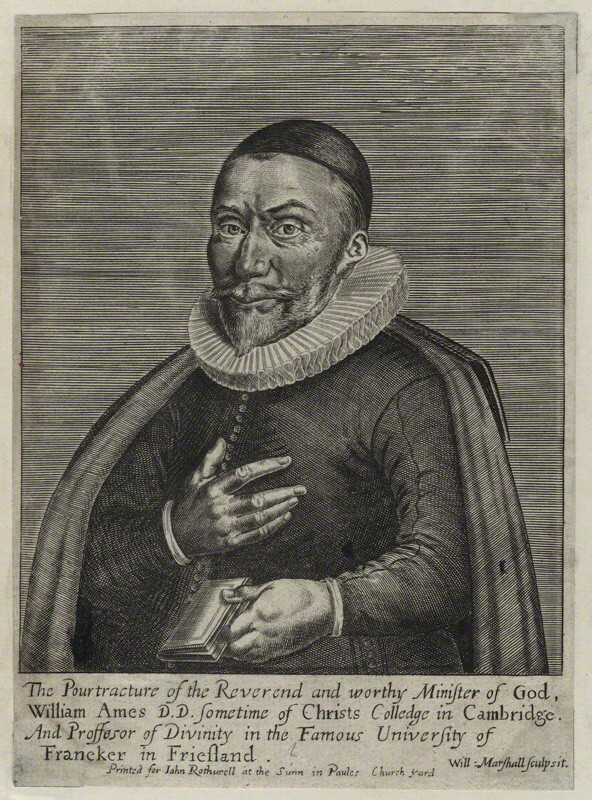 The Arminians, or Remonstrants as they were better known opposed the “rigid” Calvinism of the Dutch Reformed churches–a “rigidity” also shared among the English Puritans. 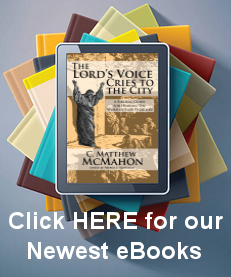 The Remonstrants argued two main points: that the human will played a significant, if not a controlling role in salvation and that Christ died for all men, not just the elect. On the second point, Arminius had made a special attack on theory of predestination held by William Perkins, Ames’ respective Cambridge tutor. Ames did battle in several tracts with Jan Uitenbogaert, Simon Episcopius, and especially Nicolaas Grevinchoven, an influential Remonstrant minister in Rotterdam. The “Coronis ad collationem Hagiensem”, or “A Finishing Touch to the Hague Conference”, published in 1618 as a strong affirmation of the orthodox ministers, presented forcefully the Amesian answer to the Remonstrants. In the winter of 1618-1619 the whole Arminian conflict came to a climax during the Synod of Dort to which Reformed theologians came from England, Holland, France, Switzerland and Germany. Ames served as a consultant to the moderator of the Synod, which finally condemned Arminian theology. Ames was thought to be some sort of giant killer in theological debate. What disturbed him about the Remonstrants was their failure to give the sovereignty and working power of God a primary place in theology; they had, in his mind, placed the Almighty at the beck and call of man. For this they surely deserved censure. his friend Hugh Peter. The church planned to open a school, having Ames as their head master. But in 1633 the River Maas flooded and the homes of the church members, as well as Ames. Ames was exposed to cold water and cold air and contracted a high fever which his weakened heart could not stand. Medicine and doctors were of no avail; his family and friends watch his courageous spirit endure to the end which was just a few days later. Thus, he who was the greatest influence on early America never arrived there. He may have been the first president of Harvard, instead of Thomas Shepherd, but “come what may” were not part of God’s ordained plan for his life. According to Daniel Neal, the first furniture at Harvard were the books of Ames, the famous professor of divinity at Franeker. He was of such profound influence upon the theology of New England that he was quoted more than Luther or Calvin combined. Jonathan Edwards often began with the thought of the Franeker professor. The Marrow of Sacred Divinity. (386 pages) Online at APM.